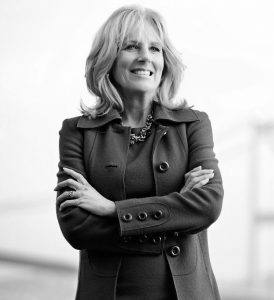 Dr. Jill Biden is an American educator who served as Second Lady of the United States from 2009 to 2017. During her tenure Dr. Biden used her platform to draw significant attention to the unique strengths and sacrifices of military families. In April 2011, she and Michelle Obama founded a national initiative, Joining Forces, that asked all Americans house their skills and resources in support of our troops and their families. Through Joining Forces, Dr. Biden focused on military spouse employment, working to connect military spouses with career opportunities as well as led efforts to support military children.. In February 2017, Dr. Biden and Former Vice President Joe Biden founded the Biden Foundation to pursue the causes they cared most about, including focuses upon preventing violence against women, his moonshot initiative, and her interests in community colleges and military families. Also in 2017, Dr. Biden was named board chair to Save the Children. The Gary Sinise Foundation has been serving military personnel, veterans and families since 2011. 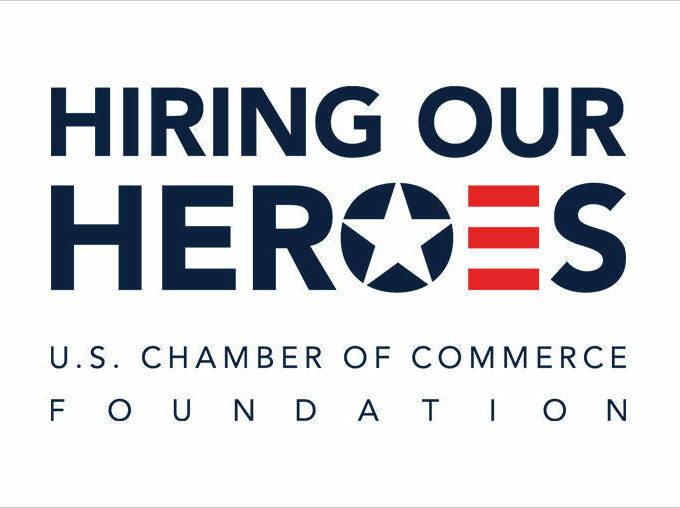 Its mission is to serve and honor our nation’s defenders, veterans, first responders, their families and those in need by creating and supporting unique programs that entertain, educate, inspire, strengthen and build communities. 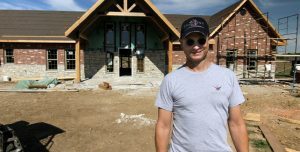 Of its many outreach efforts, the Gary Sinise Foundation is building custom Smart Homes for severely wounded veterans, serving hearty meals to deploying troops and hosting spirit-boosting festivals for patients, families and medical staff at military hospitals.  Through the Foundations’ Ambassador Council representatives inspire, educate, and remind communities to recognize their local veterans and to remember the sacrifices made by all of American defenders. In 2015, The Gary Sinise Foundation continues to find was to help veterans by launching Soaring Valor with the National WWII Museum and American Airlines, providing WWII veterans a chance to visit the museum. Ken Fisher has dedicated his career and life’s work to building and leading complex, multi-billion-dollar organizations and supporting military personnel and families. 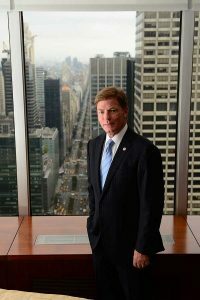 Fisher is the Chairman and CEO of Fisher House Foundation, an organization that provides a network of comfort homes where military and veterans’ families can stay at no cost while receiving medical treatment. Since its inception, the Fisher House program has helped more than 305,000 families, saving them an estimated $360 million in costs and providing them with a comforting environment as they care for their wounded, injured, or ill loved ones. The Fisher House Foundation has also helped more than 10,000 military children attend colleges by providing more than $15 million in scholarships. 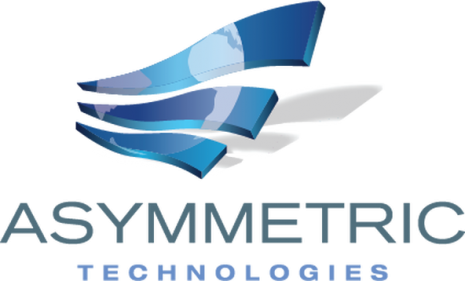 In 2004, the Foundation expanded by partnering with the Department of Defense to establish and administer the Hero Miles. This program uses donated frequent flyer miles to purchase airline tickets for family members during a medical crisis. An In 2011, Hotels for Heroes, allowing family members to stay in hotels by medical centers where a Fisher House is not available, was created. Fisher has worked tirelessly for military personnel, veterans and their families. 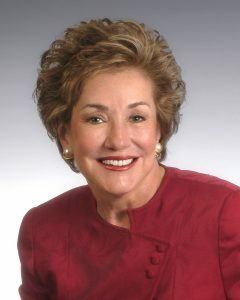 Elizabeth Dole has a long distinguished career as a United States Senator, The first female Secretary of Transportation, the Secretary of Labor and the president of the American Red Cross. In 2012, Dole founded the Elizabeth Dole Foundation to support military caregivers after witnessing the hardships these spouses, parents, siblings, and friends of wounded, ill, and injured veterans and service members face while she was caregiving for her husband, Senator Bob Dole, during an extended stay at Walter Reed Hospital. Since the Foundation’s launch, she has led the way in exposing the military caregivers’ crisis and bringing crucial resources to help these hidden heroes. Five-time Pro-Bowl and four time All-Pro selection, Jared Allen has had an impressive football career. And he has continued that winning streak with his inspiring post football work with military veterans. In October 2009, after visiting troops overseas, Allen founded Jared Allen’s Home for Wounded Warriors. 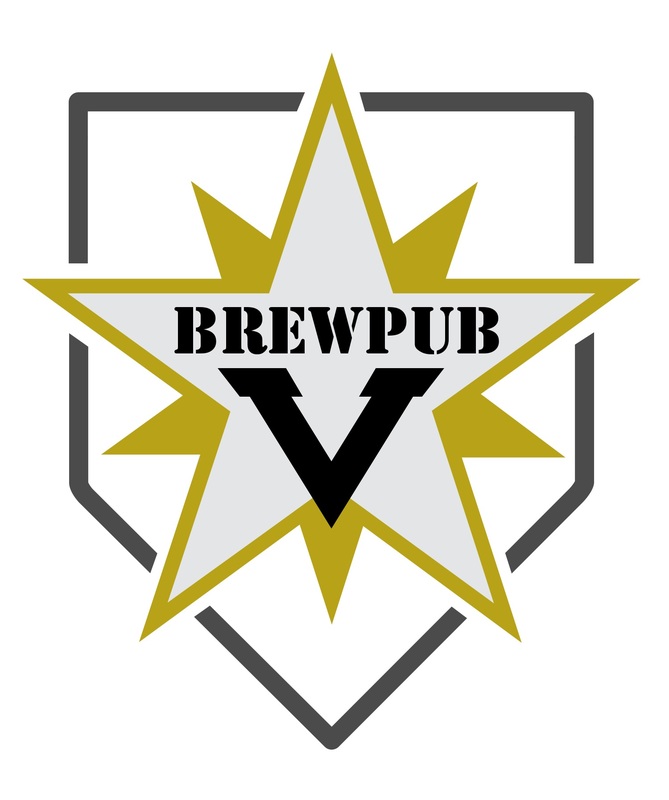 Its mission is to raise money to build and remodel handicap accessible homes to suit the individual needs of United States military veterans returning from Iraq and Afghanistan. 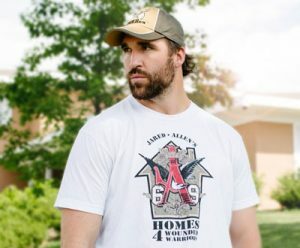 Since founding JAH4WW, Jared Allen has raised enough money to build handicapped accessible homes for 17 wounded veterans from the wars in Iraq and Afghanistan. Jared Allen’s dedication to helping wounded warriors is unmatched in the sporting world. 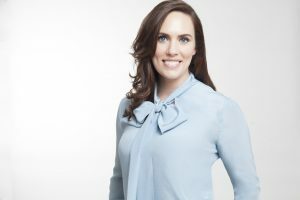 Anne Marie Dougherty serves as executive director of the Bob Woodruff Foundation, after assuming the position in 2011. She is a passionate supporter of our nation’s veterans and military families, and a dedicated leader. Anne Marie’s expertise, vision and drive have helped guide the philanthropy and veteran nonprofit sectors shape solutions and strategies to provide resources and support to post-9/11 injured veterans and their families. Under Anne Marie’s leadership the Foundation has grown from a small regional organization to a nationally recognized brand and market leader. Through partnership development with corporations, nonprofits, senior government and military officials, Anne Marie has positioned the Bob Woodruff Foundation as a national leader in the veteran space. She has increased revenue year over year, raising more than $50 million during her tenure. With a commitment to a lean, efficient and mission driven organization, BWF operates with over 87% spending to programs with an increase of over 120% of program spending dollars over the past 5 years.